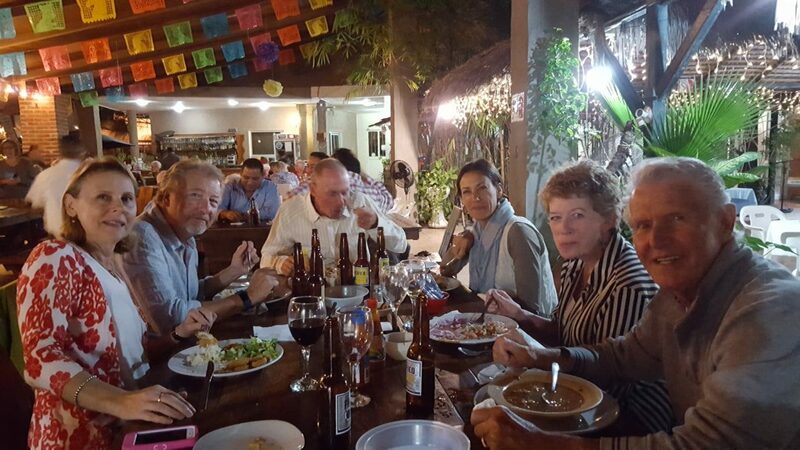 April 15 Fundraiser at La Costa – Fundación Ayuda Niños La Paz, A.C.
MARCH 8 UPDATE: Here are the fundraiser results! We raised a total of $10,750 pesos. NOTE: This is an ongoing fundraiser. Scott and his group will be playing at la Costa the third Monday of each month! 100 pesos entrance fee. We may have a 50/50 raffle. January, February, March and April…Admission to benefit FANLAP. FEBRUARY: Monday February 18 at 6:00 p.m.
MARCH: Monday March 18 at 6 p.m.
APRIL: Monday, April 15 at 6 p.m. Once again they will be asking for a donation of 100 pesos to benefit our programs in Colonia Laguna Azul. To celebrate FANLAP’s continued growth a party is in order. . . Beginning at 6 pm on December 17, 2018, there will be a fundraiser at La Costa to finance the building of a fence around the terrain and new construction at the FANLAP dining room/library located in Laguna Azul. Scott and friends will be playing jazz, blues and rock to benefit FANLAP. Cost: 100 pesos to attend. There will be a 50/50 raffle. Lots of fun.